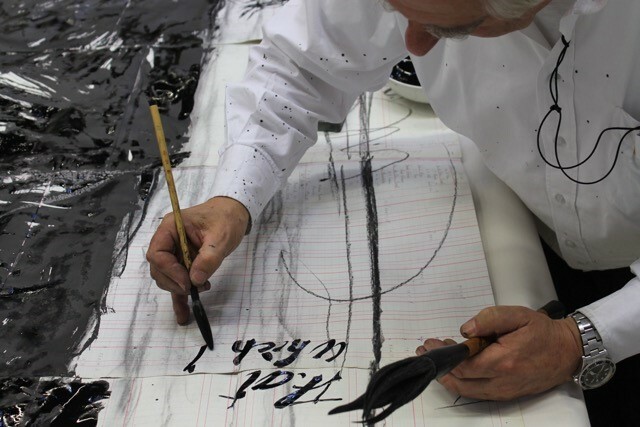 David Krut Projects is pleased to invite you to a showcase that unpacks the making of William Kentridge’s That which I do not remember, the fourth woodcut of five in the series of Triumphs and Laments Woodcuts. 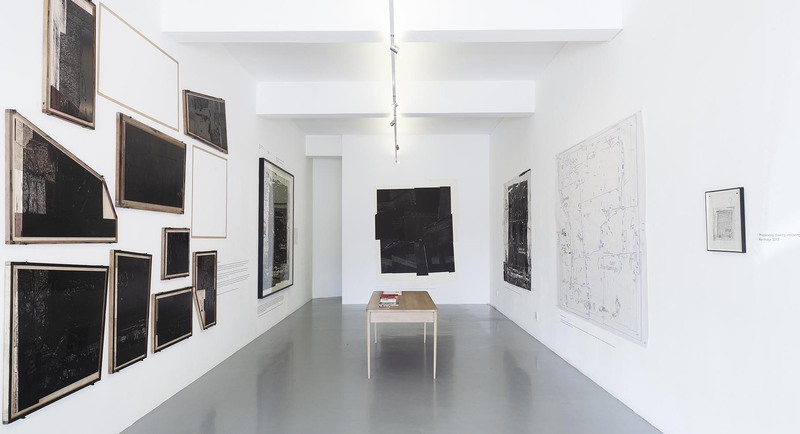 Since January 2016, Kentridge and the DKW team have been developing a series of large-scale woodcuts based on drawings Kentridge created for his 550-metre frieze installed along the banks of the Tiber River in Rome. This exhibition follows The Making of Triumphs and Laments Woodcuts, 2017 which featured the making of the first three images Mantegna, The Flood, and Lampedusa. 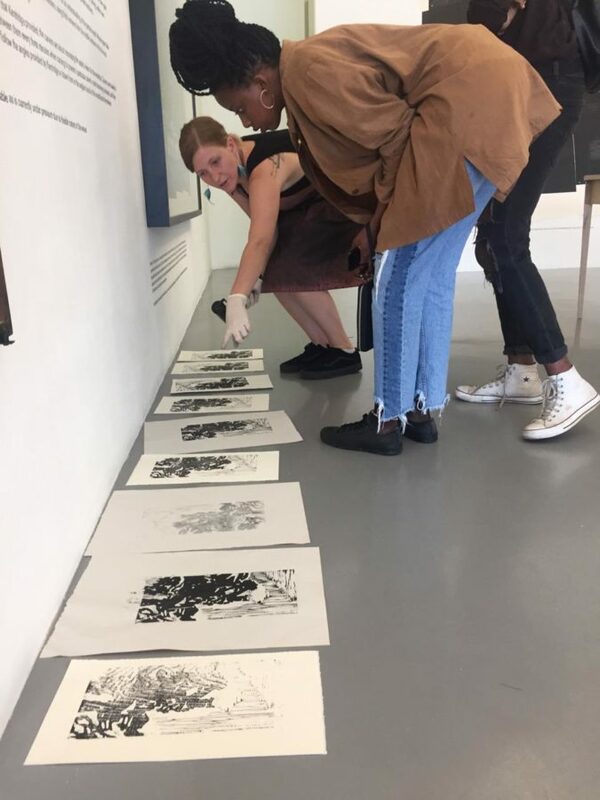 Over the course of the last three years, the first three woodcuts in this series of woodcuts have been exhibited in Paris, New York, Frankfurt, Cape Town, Sydney, and Boston. In anticipation of the series completion in 2019, David Krut Projects would like to celebrate the completion of the fourth work That which I do not remember. Where all other images in the series were either adapted or drawn from the moments in Roman History, That which I do not remember is the only original image by Kentridge portrayed along the wall of the Tiber River. It is a black mass with the Italian phrase ‘quello che non ricordo’ which translates as “that which I do not remember”. Kentridge states that “this work is not only about the loss of memory, [but also] about the things that society wants us to forget”. 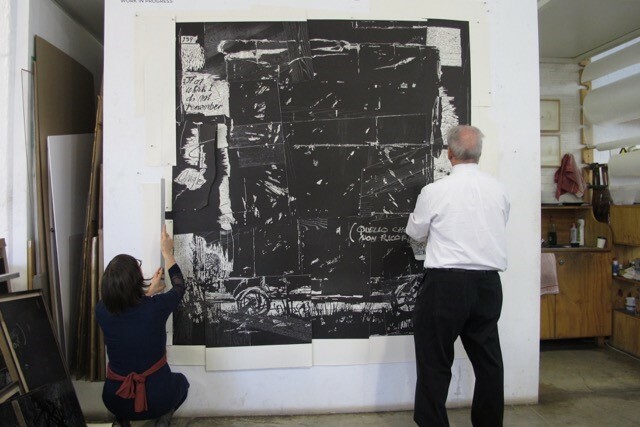 Kentridge invites the viewers to “fill the void of all things that we refuse to remember”. 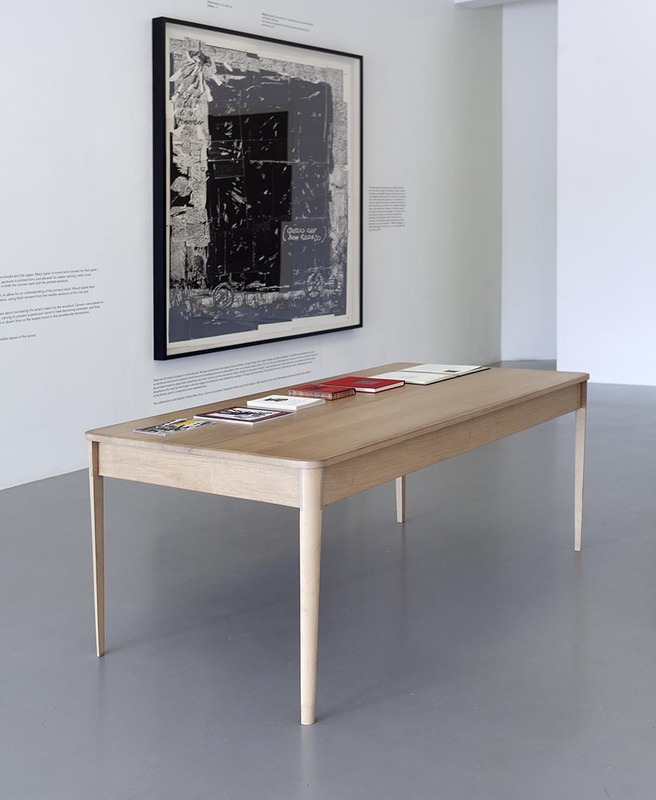 In this follow-up exhibition, the complete making process of That which I do not remember is showcased for the first time in our project space in Johannesburg. Viewers can see first-hand how this woodcut has been constructed step-by-step: building from Kentridge’s life-size, India ink reference drawing, to the full proof of the woodgrains used, to the carved woodblocks, to the first proofs (complete with printers’ notes), to the elaborate construction and mapping of the image, and, finally, to the layering and assembling of the 29 individual prints using 56 pins in order to produce the final image. 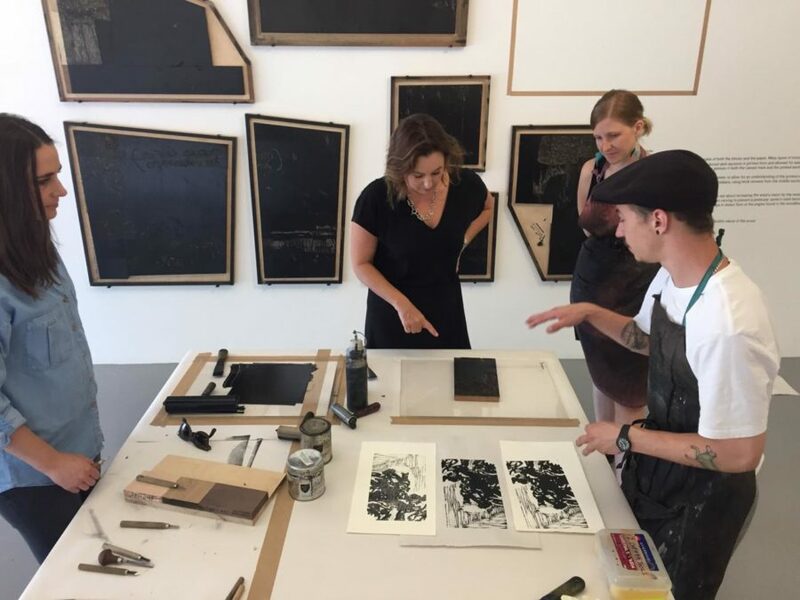 On display will be publications showcasing the exhibitions of the Triumphs and Laments Woodcuts series in Europe, North America, and Australia. Reference publications documenting the making of the first four woodcuts of the series and their corresponding assembly instruction booklets will also be available for sale. 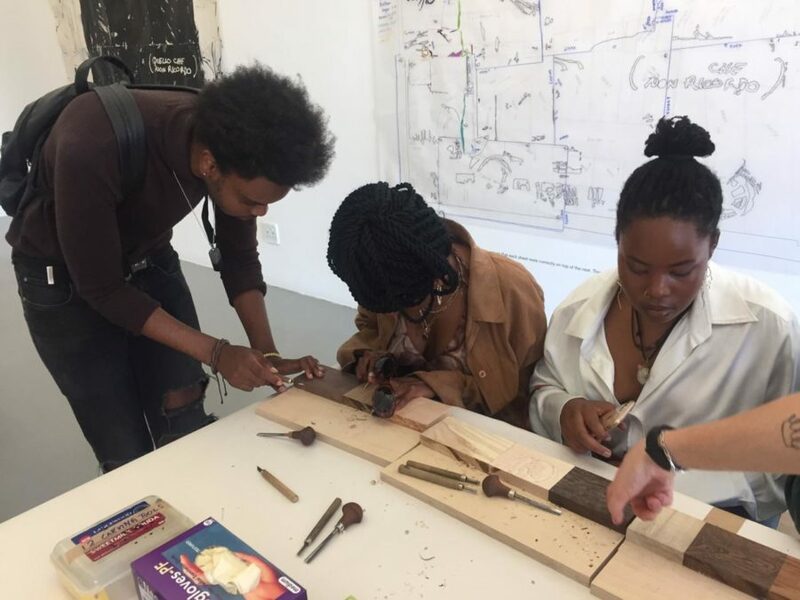 Saturday 2 March – Tearing Blocks – 11am – 2pm. 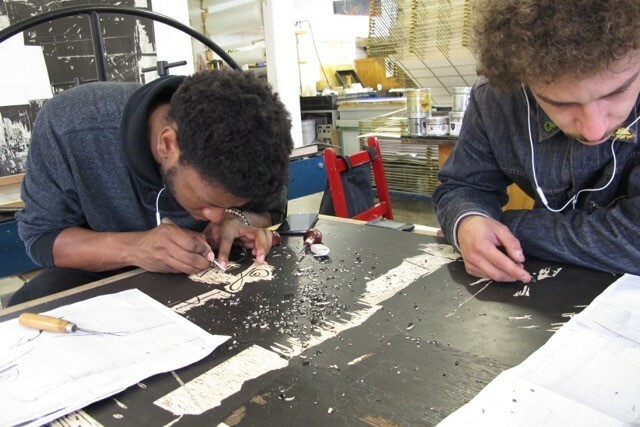 Children’s workshop where kids ink and print woodblocks and, like Kentridge, collage torn pieces to make A2 images. R200 per child, Ages 5 – 13 (parents encouraged to stay) limited to 15 children. At 142A Jan smuts Avenue. Booking essential. 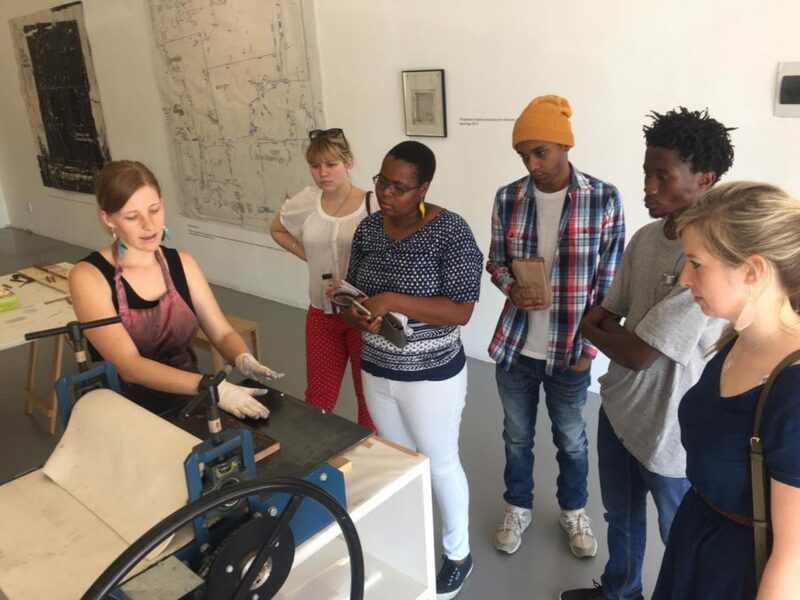 Thursday 7 March – 151 Print Archive tour of William Kentridge and DKW collaborations past, 6 pm. At 151 Jan Smuts Avenue, Parkwood. Tuesday 12 March – A conversation with DKW & WK Studio at Arts on Main, 264 Fox Street, 6 pm.